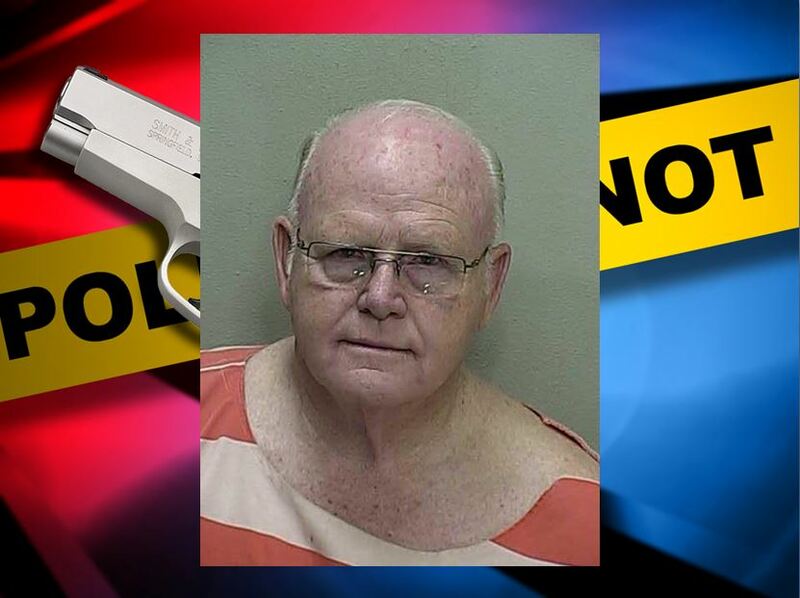 Ocala, Florida — The owner of a local bail bonds company was arrested after he fired a shot at one of his clients. According to reports, two males, later identified as Larry Muir, 69, and Hans Hernandez, 49, were chasing Dorothea Stolicker, who was out on bond through ABC Bail Bonds. Muir is the owner of the bail bonds company. Ocala Police say that Larry Muir fired a shot at Stolicker, who Muir claimed was running from him. Muir said he had gone to Stolicker’s home to revoke her bond. Witnesses at the scene told police that Muir raised his arm as if he were aiming at the woman and fired one shot. However, Muir told police that he aimed at the ground and was “just trying to scare” Stolicker so she would stop running. During an interview, Stolicker stated that she felt like her life was in danger. According to state records, Hernandez, who was assisting Muir, is not a licensed bail bondsman. If investigators determine that Hernandez was in fact working as an unlicensed bail bonds agent at the time of the incident, under Florida statute 648.285 and ss. 648.44(2), he could be charged with a felony. Records show that Hernandez has prior arrests for DUI, Battery, and Trespassing. So far, no charges have been filed against Hernandez. Muir was charged with Aggravated Assault with a Firearm. He was released on a $2000 bond.